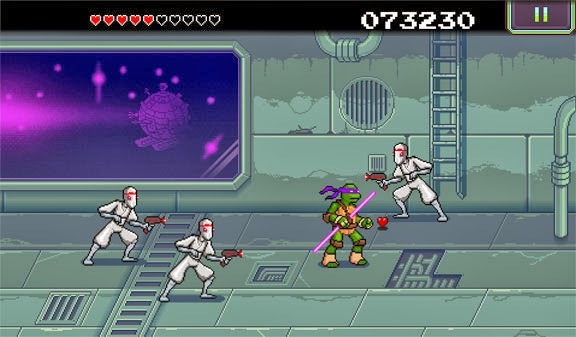 In this nice little browser based Teenage Mutant Ninja Turtles game- we get a great homage to classic NES era titles. It's a very short 3 level game, but it someone definitely had a great time creating it. 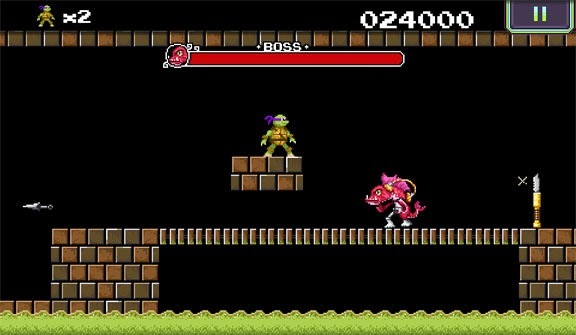 Each level consists of a simple retro section and a boss- followed by one of the other 3 Turtles playing a princess. "I'm sorry Donnie, but your princess is in..."
The first level is a riff on The Legend of Zelda- working your way through the sewers taking out all the mechanical mousers along the path to level boss Kraang in a top down view. 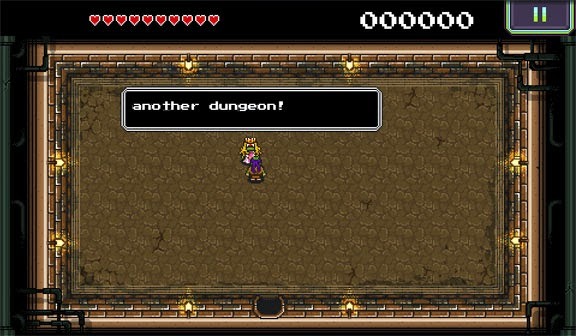 For the next segment, we have a clear Super Mario Bros. dungeon level. Avoiding pits, jumping fish, and spinning blades all to reach Fishface like the tried-and-true side scrolling platformer that started it all. In the last level we get a Star Wars spoof in the fashion of the old TMNT Arcade Games. A simple beat-'em-up to save Princess Leo (Leia! Lol) from the clutches of Darth Shredder. I also noticed that in the background can be seen the Technodrome from the old TMNT tv series. At a mere 3 levels- I feel this game is worth your time much more than the Nickelodeon TMNT for the Nintendo 3DS. The graphics here are decent, good sounds, great story and ending, and the controls can be unresponsive in the Mario level (jumps not responding)- but you can tell that whoever made this had a good time. I only wish they could make this much longer with plenty of other old game references to make a larger game as a whole. As it is, we could use more games like this- simple, short, and effective. They always have a ton of Ninja Turtles stuff.